For any producer of export goods in Humboldt County, the logistics of getting anything out of the area can be daunting. In the two weeks preceding Valentine's Day and Mother's Day, the Sun Valley Group is in operation 24/7. According to Vince Thomas, Director of Logistics and Distribution, the company usually runs about 15 trucks a week out of the county, but during those two periods it averages 45 a week. "Every year, it becomes more difficult for us to find equipment and trucks," Thomas said on March 11. Because of the excellent crab season, Transportation Manager Andrea Pesenti had a particularly difficult time in February, when Sun Valley competed for trucks with seafood distributors. Perishability is a major issue for Sun Valley, as it is for Cypress Grove Chevre: transportation "adds age to the cheese when it takes from days to more than a week to get to its destination," Sales & Marketing Manager Bob McCall said on March 5. "Soft-ripened cheeses have a very short shelf life, so the further east the market, the more difficult it is to sell them." From the moment cheeses are packed, the time to get them to the consumer's mouth is only six to eight weeks, including transportation, distribution, store shelving, purchase and time in the consumer's refrigerator. Cypress Grove pays 15 cents per pound to ship its cheese to the Bay Area, where virtually all its product goes for sale or distribution nationwide. In contrast, it costs approximately 30 cents to ship from the Bay Area to the East Coast -- only twice as much to go more than 10 times the distance. By the time the cheese reaches, say, New York, it has incurred costs for both those trips, costs that are significantly higher than for virtually any other artisan goat-cheese producer. The company has lost its market in several Safeway regions because, while the price without shipping looks competitive, "by the time distribution costs are added, it's significantly more than it appears," McCall said. "We have limited choices," Briar Bush, Lost Coast Brewery General Manager and Sales Manager, said on March 9. "There's no depth to choose from [in trucking companies]. If they're maxed out we can't get our supplies. We're held hostage to their abilities, and trucking prices correspond to supply and demand. When I ship to more remote areas, like Los Angeles or out of state, they all require STAA trucks. I can't use a local guy. I must contract with someone and ship to a cross-dock facility, and then pay a fee for use of the cross-dock." Supporters of the Richardson Grove Improvement Project add that the costs incurred are environmental as well as monetary. "If we sent a truck to that cross-dock, it probably came back empty, whereas if I was using an STAA truck, it would probably bring stuff back to me," Bush said, a point seconded by Thomas. "A lot of times, we're looking for a backhaul, but that's difficult to do because everyone running east to west is using 53-footers," Thomas said. "They want to maximize their freight and minimize their costs." 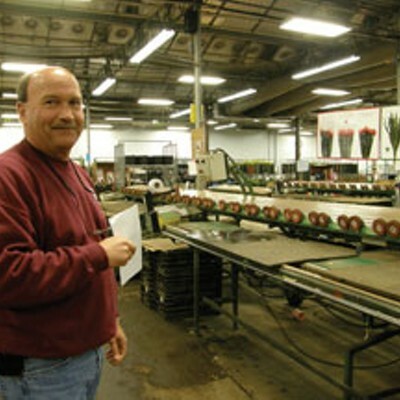 Thomas calculated that in the two weeks before Valentine's Day, the company ran 85 trucks out of Arcata. If it had used 53-foot trailers instead of 48-footers, it would have eliminated 13 trucks, saving 3,900 gallons of fuel and 85,000 pounds of carbon emissions. He estimates that annually, Sun Valley could reduce its number of trips from an average of 1,000 to 834, saving 50,000 gallons of fuel and a staggering 1.1 million pounds of carbon emissions. In late 2007 and early 2008, the Humboldt County Workforce Investment Board conducted a survey of Humboldt and Del Norte County businesses, designed by Chico State University economist Dr. David Gallo, in which it asked them a series of questions regarding truck-size restrictions. According to the Draft Environmental Impact Report, "approximately 39 businesses identified STAA restrictions as contributing to unnecessarily high operating costs... amounting to $5.98 million annually." The survey is very controversial among project opponents. 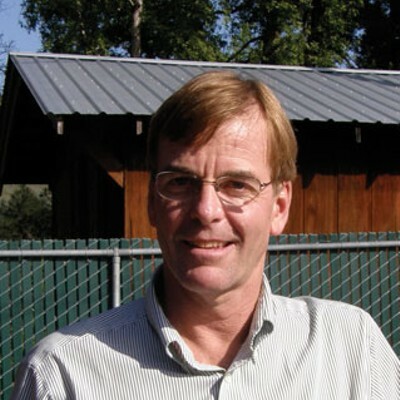 In a June 24, 2009 letter to the California Transportation Commission, co-signed by seven environmental groups, McKinleyville resident Ken Miller and Kneeland resident David Spreen, argued that "the surveyed businesses account for only 18.6 percent of local sales, 9.3 percent of local employment and 12.3 percent of total income earned by residents and businesses of Humboldt and Del Norte counties. Industries in the analysis comprise 15 percent of total area truck transportation costs and 26 percent of non-local truck transportation costs." Jacqueline Debets, Humboldt County Economic Development Director, contested the implication that affected businesses are in the minority. "Do you know how difficult it is to get people to fill out surveys?" she asked on March 10. She argued that "the businesses that are most heavily influenced" by shipping costs were the ones that bothered with the survey, "but it really affects virtually everyone," including local food stores such as the North Coast Co-op, Eureka Natural Foods and Murphy's. 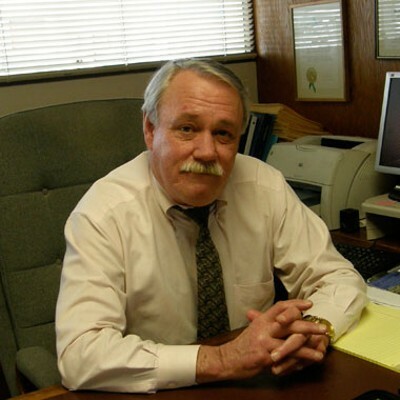 Debets added that the current STAA exemption for cattle trucks -- also cited by opponents as a reason to choose the "no-build" alternative -- applies to transportation of live cattle only, a point seconded by First District Supervisor Jimmy Smith. "Humboldt Creamery ran some numbers, and the savings for them would be substantial," Smith wrote in a March 18 e-mail. "The cattlemen have to work on exemptions constantly, and other local producers are at a competitive disadvantage." Second District Supervisor Clif Clendenen has also heard from a number of businesses, including the Farm Store in Ferndale and Sequoia Gas in Fortuna. Caltrans Project Manager Kim Floyd said Center Arts has been unable to book Broadway-style shows that have their own trucks, and other productions have either been unable to appear in the county, or have done so without sets. The Eureka Chamber of Commerce has conducted the equivalent of a straw poll of its members several times, "and transportation is always high on the list," President/CEO J. Warren Hockaday said on March 9. In Southern Humboldt, the jury's still out: like Debets, Dee Way, Executive Director of the Garberville-Redway Chamber of Commerce, found it difficult to convince business owners to complete a detailed survey on Richardson Grove. Only 28 people responded to a questionnaire sent to more than 200 Chamber members in February 2008, and those who have commented are sharply divided. "That's why we haven't taken a stand," Way told the Journal on March 25. "The goal of the board isn't to get behind political issues, unless there's a clear consensus among members." "How Big Is Big Enough?" That was the question posed by Arcata resident Sara Sunstein in a letter in the Feb. 25 edition of this publication, in which she posited that some expanding businesses are "pitting Humboldt branding and profits against our environment." 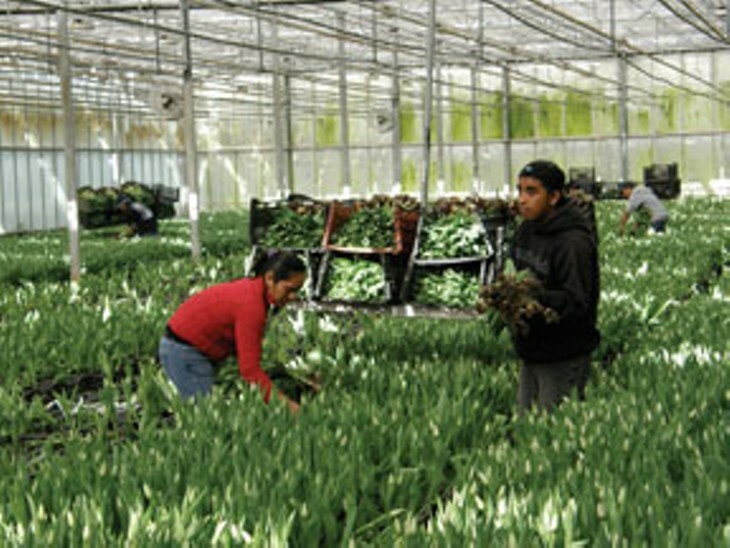 The question is at the heart of a debate between proponents of increased exports, which Debets argues will get capital into the economy, and supporters of localization, who counter that "a sustainable, organic, local agriculture" is the model of the future. There are no easy answers: every business manager interviewed by the Journal considered his or her operation a model of sustainability, whether in terms of growth, number of employees, recycling practices or community involvement. 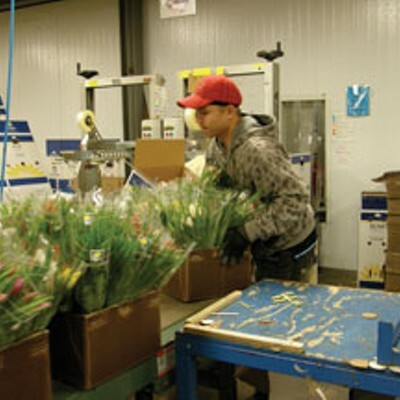 In the last 25 years, Sun Valley has grown into the largest shipper of cut flowers in the United States, employing 450 people. It sells about half of its product to wholesalers, and the other half to grocery stores; Sun Valley is the main supplier of flowers to a number of major chains, including Whole Foods, Trader Joe's, Safeway, Kroger's and Sam's Club. In contrast, Cypress Grove has one-tenth as many employees, and while its products are also found in major chains, they occupy a brand-name niche that makes them instantly recognizable to consumers nationwide. Both companies have been singled out for criticism by project opponents, some of whom are galled by the fact that Cypress Grove only sells about one percent of its product in Humboldt County. Lost Coast, likewise, has experienced major expansion since opening in 1990: the growth rate per year is usually in the high teens or low twenties, with 35 percent growth in the last two years. Lost Coast brews are sold in 22 states and three Canadian provinces, with about 15 percent sold within the county. Is it desirable -- or even feasible -- for such companies to remain strictly local? Not according to McCall: "That's going back to 1985, with Mary [Keehn, Cypress Grove founder] driving milk around in the back of her Volvo, and 45 people with health, dental and retirement benefits out of a job." "I grew up in Arcata, and I'm very religious about trees and the environment," Bush said. "After coming back to Humboldt County, I spent years looking for that slice of pie with redwood trees and ferns." He had strong words, however, for those he believes wish to live in a bubble: "I really believe that a community is an organism," he continued. "Organisms need growth, and they need facilities of transportation for everything. ... Choking off that highway is choking off opportunities for all growth, including intellectual growth." In Southern Humboldt, the localization argument raises several uncomfortable questions -- especially for environmental groups fighting the project and residents who, if pressed, might have difficulty defining "local" or "community." When Reggae on the River sought to expand in 2006, not one environmental group lodged a protest, despite the fact that Piercy residents showed up en masse at Planning Commission meetings. Their traffic, noise and pollution concerns went unheeded. On the contrary: some environmental groups actively supported the expansion, refusing to consider the possibility that an estimated 25,000 people camping on the Eel River, listening to high-decibel music -- right at Richardson Grove, no less -- might be environmentally questionable. The micro-community of Piercy was basically told that the event served the good of the greater community of Southern Humboldt: "It's for the non-profits" -- the local organizations whose main fundraising efforts of the year were food booths at Reggae. Four years later, the greater community of Humboldt County expects something of its southern extreme, the one it usually ignores. The locals are justifiably suspicious: Southern Humboldt accounts for a disproportionate percentage of bed taxes, but doesn't have the public services to show for them; a cultural divide has long separated the north from the south; and the residents are woefully underrepresented in county government. Many have long felt that they do, indeed, live in a separate bubble -- and that is true of rednecks and hippies alike. But is it really true? What is the meaning of "local" when Southern Humboldt residents regularly make shopping trips up north, even to those dreaded big-box stores? When Fortuna beef, Eureka beer and Arcata bread and cheese are found in so many Southern Humboldt kitchens? When 40 percent of the teachers and administrators in the Southern Humboldt Unified School District commute from up north, many because they cannot afford the inflated housing prices down south -- prices inflated by the marijuana economy? Which brings us to an uncomfortable realization. Environmentalists and others fighting the proposal on economic grounds have failed to acknowledge that this particular argument is profoundly ironic. The environmental groups in Southern Humboldt are deeply rooted in the "alternative" community, and many of the project opponents who attended a Feb. 24 forum in Garberville sponsored by the Environmental Information Protection Center -- one of the leading opponents of the project -- are marijuana growers: People who have certainly made invaluable contributions to the local economy, founders of non-profit organizations, schools and community centers. Many grow much of their own food, sell produce at farmers' markets and hold hundred-mile potlucks, both to celebrate the local bounty and raise awareness of fossil-fuel consumption in food packaging and transportation. But let's not forget a crucial fact. The people who came to Humboldt County to grow marijuana founded a cottage industry that quickly became nationally renowned, both for the quality of its product and the brazenness with which its denizens flouted the law. Their real income doesn't come from selling apples and zucchini in the Garberville Town Square; it comes from exporting a much more profitable crop all over the United States. It would be safe to say that less than one percent of Humboldt-grown marijuana is consumed within county lines. During the writing of this story, several people -- including Southern Humboldt hippies who didn't want to be symbolically tarred and feathered by their neighbors -- asked two salient questions: When certain proponents of strict localization feel the impulse to ask Cypress Grove or Lost Coast how big is big enough, does it occur to them to ask where they themselves would be without a national market? And are they willing to give it up in the pursuit of their ideals? An examination of the public relations campaigns waged by the two sides highlights weaknesses in both arguments. It also holds a mirror up to a local debate that increasingly reflects the combative, take-no-prisoners tone of discourse at the national level. Caltrans has made several critical errors in judgment, including presenting the project as safety-driven, when it is in fact access-driven. Safety, including for RVs, is a secondary benefit. The agency did not initially commission an Environmental Impact Report (EIR), which reinforced the notion that there was a push to approve the project quickly. Its Draft Environmental Impact Report (DEIR) was downright sloppy in some respects, most notably in its failure to present a clear, detailed economic case for the project. Its initial refusal to conduct a marbled-murrelet count prior to construction may have been "justified" by the clearance it received from the U.S. Fish & Wildlife Service, but it came across as callous disregard for an endangered species. The agency's communications with businesses in the project area were faulty at best, especially in the case of the One-Log House, whose owner, Dan Baleme, had a particularly bad experience with a private contractor taking core samples. The changing nature of the project has alienated people who argue that the plan was faulty to begin with -- or who feel they cannot trust agency representatives "because they keep changing their minds." Supporters counter that this is proof of Caltrans' willingness to incorporate public input into the project. But for businesses like Singing Trees Recovery Center, which was facing the prospect of a 300-foot-long retaining wall right across the road, it's cold comfort to know that the plans might be changed, if just enough of a hullabaloo is raised. For project opponents, the final outrage was the phenomenally ill-advised decision, on the part of the Headwaters Fund, to approve the use of funds for a media campaign -- directed by the Economic Development Office -- to drum up support for the project. A grassroots effort incorporating a simple presentation of facts would have sufficed, and questions about conflicts of interest would have been avoided. Instead, Debets and company walked right into a public-relations nightmare: the idea of Headwaters money being used to approve a road project through one of the last remaining stands of old-growth redwoods was simply too much for many people to swallow. Sadly, the opposition hasn't fared any better. Its use of terminology in describing the project has been calculated to appeal to emotions rather than logic. While it is technically true that the road is being "widened" in several places, the word is being wielded in such a way as to convince people that the scope of the project is much greater than it is. The use of the word "straightening" is even worse, because it's downright false: the proposal will actually add one curve to the highway, and make others wider. A clear understanding of this point is particularly important when discussing traffic safety and the likelihood of speeding in the grove. The opposition has successfully convinced thousands of people that the process has been veiled in secrecy, no meetings have been held and opportunities for public input have been limited. "The secrecy behind it is strange," one Garberville restaurant owner told the Journal. "There's been no real open discussion." That belief is widespread in Southern Humboldt, despite the fact that Caltrans has held four meetings, extended the public-comment deadline on the EIR, and conducted a number of tours for people concerned about the proposal -- including a treesitter who got a personal walk-through from Floyd. More disingenuously, opponents have relentlessly fostered the idea that the sole purpose of the project is to benefit big boxes, a notion that has turned many small business owners in Southern Humboldt against their counterparts in the northern part of the county -- and in some cases, against their own neighbors on Redwood Drive. Of 19 Garberville business owners and managers informally surveyed on March 25, 11 were opposed to the proposal; of those, the majority of whom are representative of the back-to-the-land community, all save one expressed the firm opinion that the main purpose of the project is to facilitate big-box development. Meanwhile, businesses like Eel River Organic Beef, whose agricultural practices are theoretically supported by proponents of green living, find themselves under fire for looking beyond the borders of California, or even Humboldt County. "How big is big enough?" is a valid question. But proponents of strict localization would do well to remember that no economy is completely self-contained. That has been true for as long as the symbiosis between the city and the farm has existed. The failure to comprehend this has led to a divide among people who, more often than not, share the same ideals. That paradox isn't limited to the battle over Richardson Grove. The blistering debate over the General Plan Update has pitted rural landowners, many of whom are Southern Humboldt back-to-the-landers, against people they disparagingly refer to as "urban environmentalists." Estelle Fennell, the news director at KMUD for 17 years, was one of Julia "Butterfly" Hill's greatest champions. But now, as executive director of the Humboldt Coalition for Property Rights, she routinely weathers scathing attacks from environmentalists who, in a former time, would have been among her staunchest allies. The GPU has pitted liberal against liberal in a way that was inconceivable 20 years ago, when the choice was, pardon the pun, clear-cut: you were with the loggers, or you were with the hippies. The nature of the debate has led to accusations of fear-mongering on both sides. At the Feb. 24 meeting in Garberville, Weott resident Barbara Kennedy and EPIC Outreach Coordinator Kerul Dyer both claimed that business owners opposed to the project are afraid to speak out, for fear of alienating their colleagues. It goes both ways: businesspeople who attended a Feb. 17 event at the Bayside Grange said they were discouraged by the atmosphere there, which to some felt more like a rally than a discussion forum (both meetings were sponsored by EPIC). The words "left-wing Tea Party" have been whispered more than once to this reporter. Surely, that's not an image project opponents wish to cultivate. For those who ultimately make the decisions that will shape the future of Humboldt County -- including Clif Clendenen, who represents the sharply divided Second District -- the language of passion has been a turnoff in an important debate that should employ the language of reason. "I'm available to change my mind if I see evidence [against the project] that's compelling, but I haven't seen it yet," Clendenen concluded. "We need to sift away the emotion from the reality. I think this is misspent energy, and I'm as concerned for the well-being of the county as anyone." Since the Headwaters were saved, EPIC has struggled to redefine itself. While some environmentalists have worked towards being proactive, much of the local movement has been essentially reactionary -- people rising up to stop bad things from being done. Environmentalists now have Richardson Grove to defend, and EPIC has taken up the banner. This seems to be another version of the Headwaters campaign, right down to the rallying cry: "Save Richardson Grove!" But this time, they're not fighting a corporate out-of-state behemoth bent on liquidation. They're fighting a state agency that, to many observers, has made a tremendous effort to address environmentalists' vital concerns, while still meeting its mandate to provide access to commercial trucks -- and at the same time, meet the needs of numerous Humboldt County businesses that will increasingly depend on that access for their survival. For now, both sides can only wait for the final Environmental Impact Report, which Caltrans plans to release in early May. While many see the project as a done deal, EPIC looks poised to litigate, and more than a few voices have threatened to stop the work with direct action. Observers are left to wonder if opponents will really succeed in closing the Redwood Curtain. Or will Richardson Grove be the environmentalists' last stand? Cristina Bauss has been a reporter in Southern Humboldt for six years. She is a member of the California State Parks Foundation, an occasional donor to EPIC, a fan of Cypress Grove cheeses and a consumer of Lost Coast beer. She lives in northern Mendocino County and drives through Richardson Grove Monday through Friday.